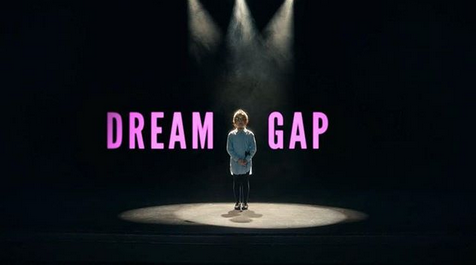 Mattel is already doing it — and their awesome new Barbie campaign got me thinking and reflecting on what the idea of “dream gap” means for women of all ages and backgrounds in our society today. It’s all about that huge, cavernous space between what girls believe they can achieve and what they can actually achieve. As I watched it, I was reminded of the countless 1,000 Dreams Fund recipients who’ve been dismissed, mocked, and even bullied for pursuing careers in male-dominated spheres. But, unexpectedly enough, I also thought about myself. Growing up with a brother, there were people even in my life (including family members!) whose expectations for me were lower than theirs for him. I noticed it early on, and while I don’t think it was an intentional slight, it stuck with me. I became aware at a young age that girls often aren’t granted the luxury of being taken seriously. We all know that self-confidence is a must. Admittedly, it can be hard to build confidence when you’re not receiving sufficient encouragement from people who should be your biggest cheerleaders. That doesn’t just refer to your mom and dad — the skepticism can also come from friends, siblings, coworkers, teachers — you name it. In fact, what I learned from our new BroadcastHER Intiative in partnership with the Twitch community is that the most debilitating comments can come from total strangers. Women in gaming are often torn down not by people they know personally, but by critics on the Internet who really dislike seeing females in that industry. It’s totally wrong; and yet it happens. In order to close the dream gap, we all have a part but you do too. Girls have to be their own best cheerleaders. As a social entrepreneur, I still have to practice that every day for myself. And it can be way easier said than done. It means pushing yourself forward and barreling on ahead even when it feels like absolutely no one is in your corner. But, here’s the good news. Even though it may feel like you’re on your own, you’re not. Progress is happening — here on my team and out in the world. At 1DF, we have so many corporate partners craving more diversity in their workforce. Powerful people are realizing that we need to equip and empower girls at a young age, just like we do for boys. And while progress takes time, you only need to look at the results of the 2018 midterm elections to see that change is fast approaching. A record number of women won House seats; the first Native American and Muslim women were elected to Congress; and scores of states made individual strides in boosting women to the highest levels of government. Closing the dream gap isn’t going to be easy. It’s going to take effort from each and every one of us. But I’m up to the challenge. Are you?